More now on the amazing system of Barangays operating throughout the Philippines. The Philippines’ self-governing system before the Spanish inquisition was based on a myriad of groups of people scattered throughout the populated islands, mostly ruled by a tribal leader. These groups of people were called “Barangays“, a Malay term for community. There are over 42,000 Barangays in the Philippines. Under the Spanish rule, the same governing concept was applied to their Filipino subjects, and this was called the “barrio” system, or wards ( neighborhoods ). Under the present system of government of The Philippines, the barangay was re-integrated , and is an important part of a city or province’s make up. In a city or municipality, the role of the barangay is much the same as in the past. Each barangay is headed by a barangay “captain,” an elected official, operating under the office of the city or municipality mayor and its council members. Every barangay has a unique and special makeup of its place, its people, and its customs, making them a challenging discovery for the more adventurous spirit. There is intense competition amongst each barangay as to which one organizes the best fiesta, beautification projects, tourist attractions, cuisine, and many other cultural aspects. We at Zamboanga.com will provide an avenue for each barangay to showcase their individuality, making them an integral part of our global community and economy. More definitions of a Barangay thanks to WIKI. Before the arrival of the Spanish colonizers in the Philippines in the 16th century, the Barangays were well-organized independent villages – and in some cases, cosmopolitan sovereign principalities, which functioned much like a city-state. The Barangay was the dominant organizational pattern among indigenous communities in the Philippine archipelago. 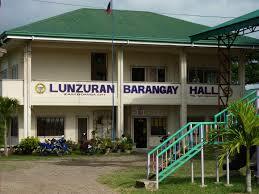 The name barangay originated from balangay, a Malay word meaning “sailboat”. A barangay (Brgy. or Bgy. ; Filipino: baranggay, [baɾaŋˈɡaj]), formerly called barrio, is the smallest administrative division in the Philippines and is the native Filipino term for a village, district or ward. In colloquial usage, the term often refers to an inner city neighbourhood, a suburb or a suburban neighborhood. The word barangay originated from balangay, a kind of boat used by a group of Austronesian peoples when they migrated to the Philippines. Municipalities and cities are composed of barangays, and they may be further subdivided into smaller areas called purok (English: zone), and sitio, which is a territorial enclave inside a barangay, especially inrural areas. As of September 30, 2012, there were a total of 42,028 barangays throughout the Philippines.